This was the first piece of art I ever sold. 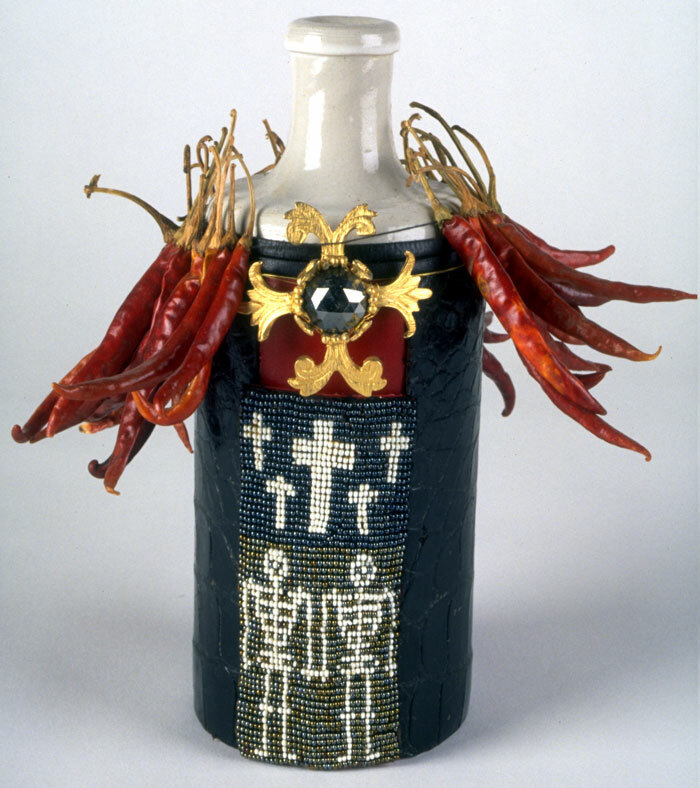 This libation bottle was used by by Haitian houngan, Saveur St. Cyr during ritual trance while visiting Chicago. He chose it from among the thirty-odd traditional bottles on Marilyn’s Ghede altar. This was a great honor. The ceramic bottle is wrapped in alligator hide salvaged from an old purse and red felt. The beadwork I made on a loom. The chile peppers reference the hot nature of the Petro spirits in Haitian Vodoun.